AutoAccount is a highly automated online bookkeeping service, created by the parent company Digitase. AutoAccount utilises XML bank statements and because of automation, we are able to keep our prices affordable. The package includes monthly reports in English, VAT filing (if needed) and annual Financial Statements prepared by local experts. The customer does not need to make software investments. AutoAccount is an extremely suitable combination with e-Residency and a registered company in Estonia. All the correspondence can be done online. A Private Limited Company (OÜ) in Estonia is a very tax efficient way to grow your business for example in the fields of digital services. All undistributed profits are tax exempt. The moment of corporate income taxation is shifted until the distribution of profits to the owners. Meetings with an accountant can be arranged on Skype or in person in Tallinn (Metro Plaza) and in Helsinki, if needed. 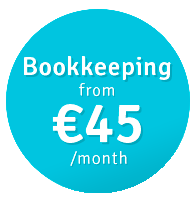 The AutoAccount bookkeeping service is mainly targeted for international entrepreneurs who are running their businesses in a foreign environment. We also have a broad experience with migrant entrepreneurs.